World human rights groups and journalist associations have condemned of the killing of a prominent journalist in Ukraine as fears are raised over a lack of safety for press in the country. 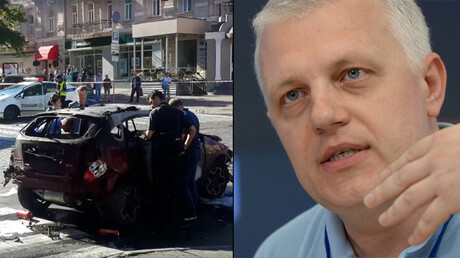 "Today’s news of the tragic death has put us all into a state of shock,” said Sergey Nikitin, chief of the Russian bureau of Amnesty International in his statement on the death of Pavel Sheremet, who died in downtown Kiev when the car he was driving blew up minutes after it started. “The man was essentially killed for his work” and apparently someone wanted “the mouth of truth to be shut,” Nikitin’s statement reads. His colleague Mogens Blicher Bjerregård, who is the president of the European Federation of Journalists, echoed the calls for justice. Bjerregård called Sheremet a “crusader for freedom” and demanded the Ukrainian authorities shield and protect journalists in the country. The assassination “reminds us that the safety situation for journalists in Ukraine is still a major concern. We call on Ukrainian authorities to guarantee freedom of expression and of the press in the country,” the president of the European Federation of Journalists said. Calls for Ukrainian President Poroshenko to bring the perpetrators to justice have also been voiced by Reporters Without Borders. "I am glad that President Poroshenko clearly condemned the attack. Now it will be crucial to see the action following,” Executive Director of Reporters without Borders Christian Mir said, as quoted by TASS. “We have lost a prominent and dedicated journalist”, said OSCE media freedom representative Dunja Mijatović. Recalling the murder of another journalist Georgyi Gongadze, who was killed in 2001 in Ukraine, Mijatović demanded that Kiev does not allow the crime to go unpunished. Condemnation of the murder and calls for a swift investigation have been also voiced at state level. The Russian Foreign Ministry said it was “shocked by the cynical” murder of Sheremet, as quoted by RIA. It added that the journalist has become “yet another victim of the system” that was established in the country. “The murder of the journalist, renowned for his professionalism, it is of extreme concern. We call on the authorities to fully investigate," Romen Nadal, a spokesman for the French Foreign Ministry said, as quoted by TASS. The US embassy in Ukraine also said it has “been shocked and saddened” by Sheremet’s murder, a statement by the embassy says. 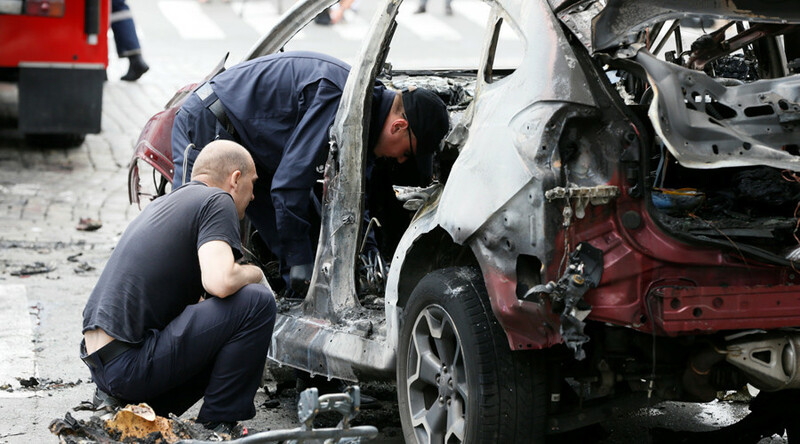 Award-winning Russian journalist Pavel Sheremet died early on Wednesday in downtown Kiev when the car he was driving blew up minutes after it started. Sheremet, 44, conducted his journalistic work mainly in Ukraine, Russia and Belarus.The Ukrainian Prosecutor's Office has said the killing of the journalist is murder.